Join us for a FREE holiday movie. All ages are welcome. 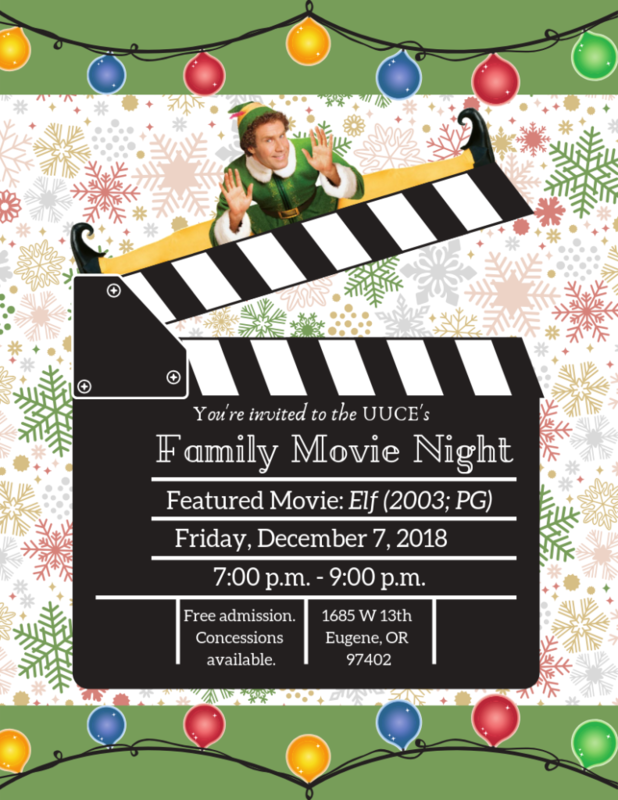 Grab your family, friends and some comfy clothes (pajamas are welcome) and settle in as we watch the hilarious Elf, starring Will Ferrell. Popcorn, soda and candy will be available for purchase. Doors open at 6:30 p.m.! Contact the UUCE Business Office with questions.